Bellevue is located east of Seattle across lake Washington either along I90 or I520 bridges. 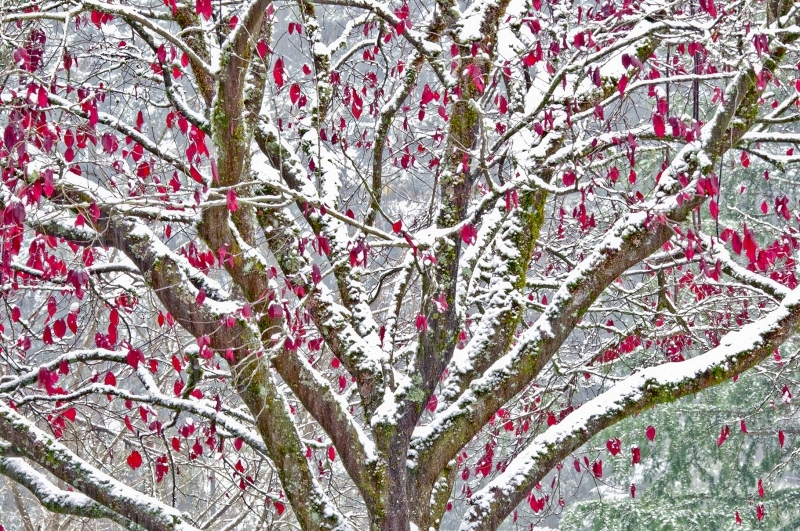 This image was taken in our front yard late November 2010 as Nature was making the transition from Fall to Winter. It is unusual to get snow in Belleuve, Wa this early in the season but the contrast in the image was too good to pass up.